Space Force? Coming to a TV near you. WASHINGTON — The Space Force, the sixth branch of the military proposed by U.S. President Donald Trump, is still in its initial stages of development and may never come to fruition if critics in Congress have their way. But “Space Force,” the newly announced TV show parodying the creation of the titular service? That’s as real as the moon landing. The show “is described as a workplace comedy centered around the people tasked with creating a sixth branch of the armed services,” Variety stated. “On June 18, 2018, the federal government announced the creation of a sixth major division of the United States armed forces. The goal of the new branch is to ‘defend satellites from attack’ and ‘perform other space-related tasks’ … or something,” reads the promo. 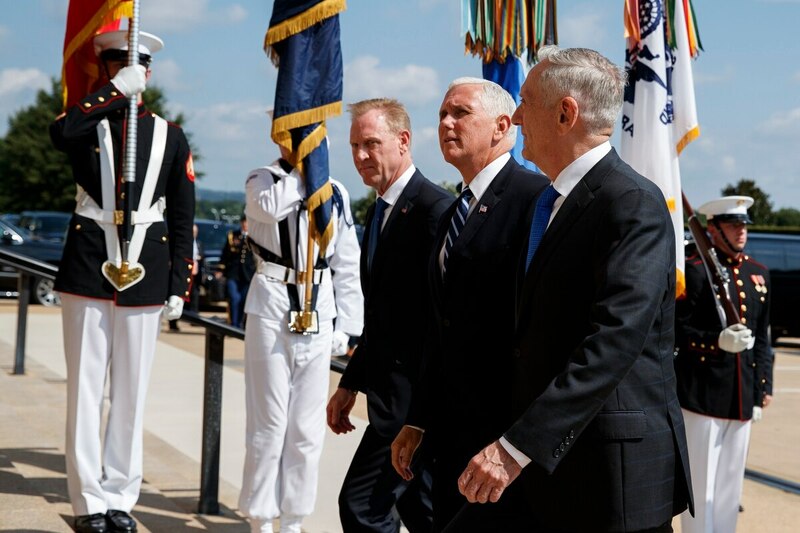 It’s unclear how close “Space Force” will mirror real-life events, what role Carell will play, or whether the real-life characters in the Space Force creation story — people like acting Defense Secretary Patrick Shanahan, who as deputy defense secretary took the lead role in plans to stand up the new service, or Air Force Secretary Heather Wilson, a one-time critic who has now voiced support for the plan — will appear in the show by name. And with no release date announced, it’s unclear whether episodes have already been shot. The announcement: The president makes a surprise announcement calling for the creation of a Space Force. The Pentagon immediately goes into crisis mode, as no one in the building knew the directive was coming, and several prominent officials (say, in the Air Force or even the defense secretary) had been on record against forming such a service. Hidden figures: The Air Force’s cost estimates for a Space Force “leak” to the press. Space Force advocates worry that the high number could kill the initiative before it ever really starts, inciting a back-and-forth battle over the cost of the new service. No one outside of Washington actually cares either way. Air Forced: Think of this episode as a comedy of errors in the style of “Veep” or the notorious requirements development scene in “The Pentagon Wars.” After the president vows that the Space Force will be an entirely separate service, the Air Force suddenly finds the future of space operations out of its control. But over a series of meetings, viewers see the tide gradually turn, and the Pentagon is forced to concede the Space Force back to Air Force control. The president is cool with it, as long as the Space Force keeps the name and he gets to claim victory. New recruit: A recent high school graduate enlists in the Space Force, expecting to be deployed to Mars and fight aliens with hand-held laser weapons. He is disappointed to find himself stuck at a desk, monitoring satellite operations via a series of computer screens.